The Hypoport Group uses its EUROPACE B2B financial marketplace – Germany’s leading transaction platform for mortgage finance, building finance and personal loans – to sell financial products to private clients. 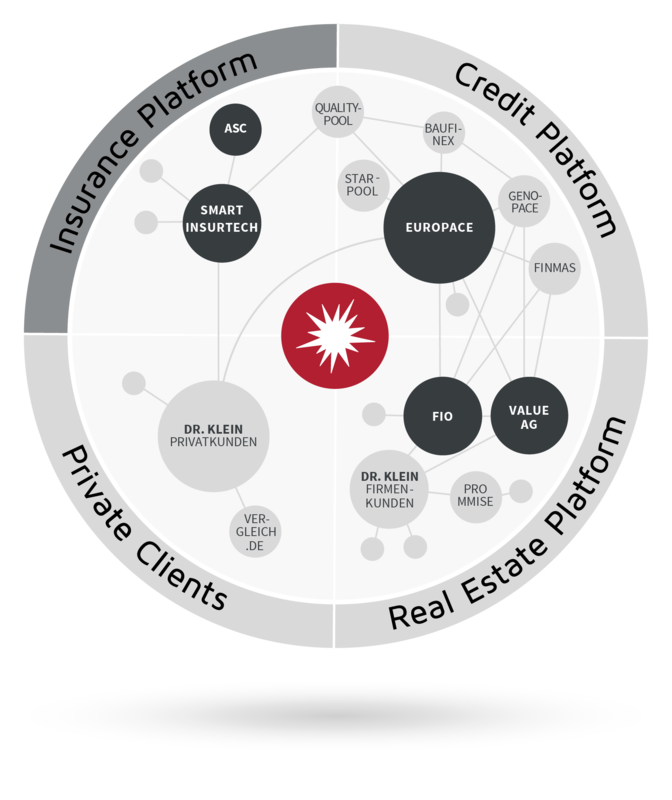 A fully integrated system links a large number of banks and insurers with several thousand financial advisors, thereby enabling products to be sold swiftly and directly. 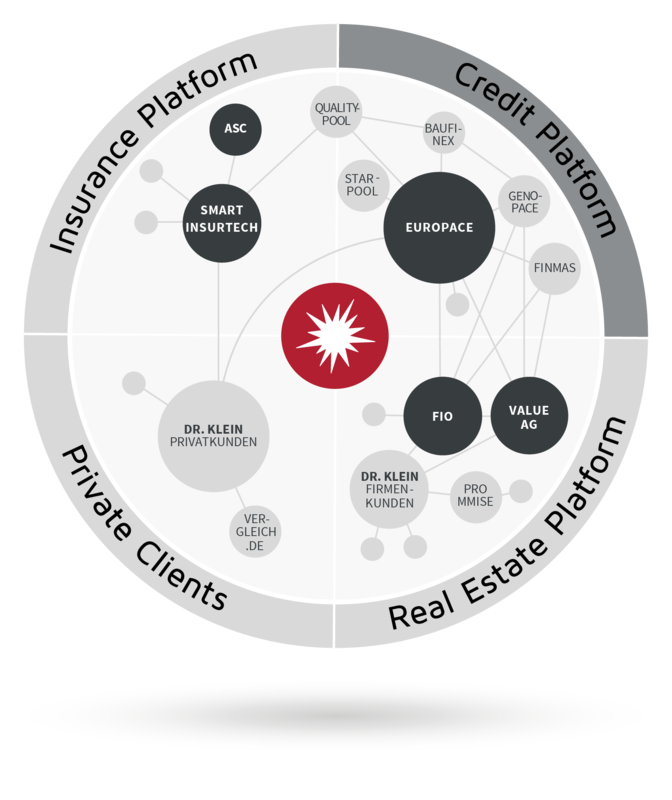 Besides EUROPACE, the business unit includes the providers of the sub-marketplaces for the regional banks: GENOPACE GmbH was launched in 2008 as an internal coordinating intermediary for Germany’s cooperative banking sector. FINMAS GmbH is a subsidiary set up in 2009 in collaboration with Ostdeutscher Sparkassenverband (OSV), the association of eastern German savings banks, and acts as the financial marketplace for the members of the Savings Banks Finance Group. The B2B distribution companies Starpool GmbH and Qualitypool GmbH, which operate in the mortgage finance business are also assigned to the Credit Platform segment. The Private Clients business unit consists of Hypoport’s subsidiaries that offer financial services for consumers and develop the technology required to do so. In the Private Clients division, Dr. Klein Privatkunden AG distributes mortgage finance and other financial products to consumers. Customers‘ interest is aroused on the internet, while subsequent advice is provided by highly qualified financial advisors on the telephone or, more often, in face-to-face meetings. With the aid of software solutions, the Private Clients unit selects the best products for each client from a broad selection of all appropriate banks and insurance companies. This comprehensive advice private clients with benefits in terms of efficiency and the quality of the product range. Vergleich.de Gesellschaft für Verbraucherinformation mbH distributes financial products in the categories of mortgage finance, consumer loans and basic banking products (e.g. instant-access accounts) via an online comparison service. 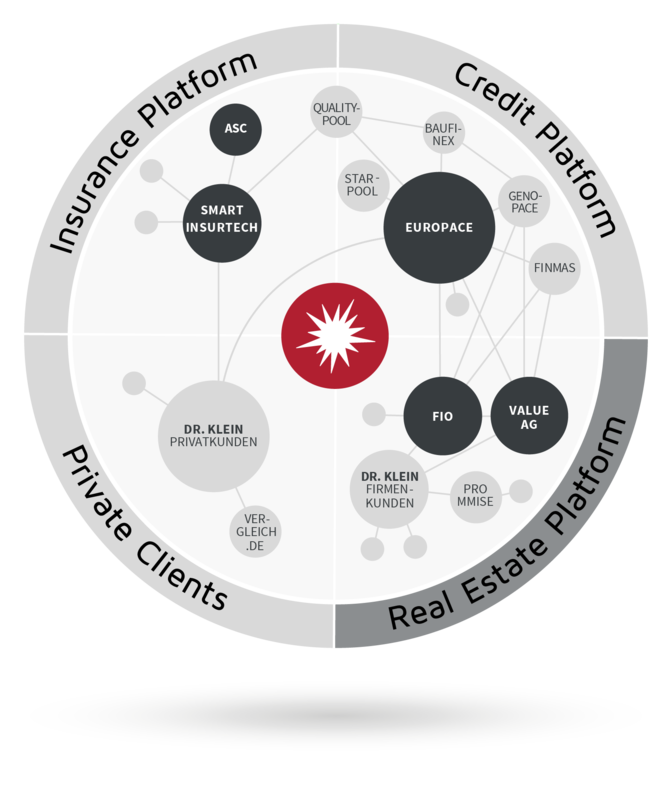 All real estate-related activities of Hypoport, with the exception of mortgage finance, are grouped together in the Real Estate Platform segment (until 2018 ‚Institutional Clients‘) with the aim of furthering the digitalisation of the sale, valuation and management of properties. DR. KLEIN Firmenkunden AG has been a major financial service partner to housing companies and commercial property investors since 1954. This business unit provides its institutional clients in Germany with a fully integrated service comprising expert advice and customised solutions in the areas of financial management, portfolio management, and insurance for business customers. Hypoport B.V., based in Amsterdam, provides PRoMMiSe, a software which helps banks with the analysis and reporting of securitised or collateralised loan portfolios. Since 1999 FIO SYSTEMS AG offers Software as a Service for Banks and housing companies. Value AG is the largest non-captive provider of property valuation services in Germany. 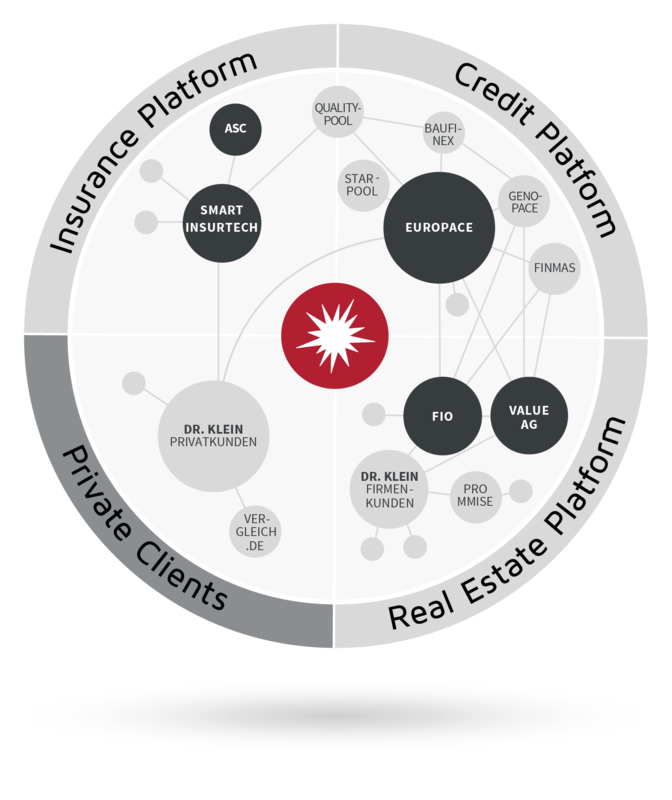 Since 2017 the new Insurance Platform segment brings together all of the Hypoport Group’s activities relating to insurance technology. The Insurance Platform business unit operates Smart InsurTech, a web-based B2B platform for advice, comparison of tariffs and the administration of insurance policies. The business unit also incorporates the B2B distribution companies for insurers, ASC Assekuranz-Service Center GmbH and the insurance unit of Qualitypool GmbH.